I did some interviews recently with Jacob Templin from Time Magazine about the realities of the music business today and what is working for some bands. Here is one of the videos. Unfortunately you have to endure a 15 second ad before viewing the story. With hit songs like Code Monkey, the software developer turned musician turned internet superstar Jonathan Coulton has figured out how to market his music online. His strategy: Give music away and let people play with it. There are two other videos on the Time.com website. Enjoy. 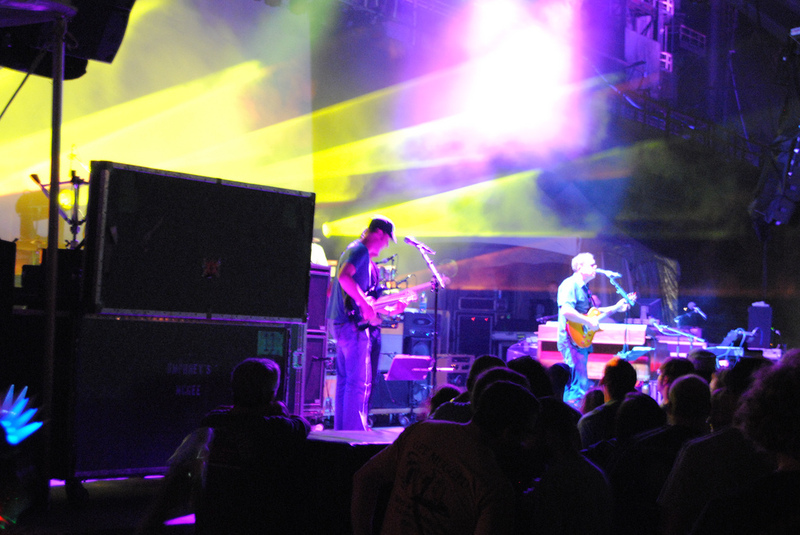 1) Progressive rock band Umphrey’s McGee gives fans a chance to take part in its live shows. All they need is a cell phone and an idea. My friend George Howard recently wrote a great article for Berklee’s Music Business Journal. In it he explains how music marketers can connect more closely with the fans that matter as they try and propel their band forward. Here is an excerpt from the article and solid advice for any marketeer. The complete text can be found here. These Early Adopters are one standard deviation closer to the majority than the Mavens, and thus there are more of them. However, while they will adopt new things more quickly, they are not typically at ground zero of discovery. If the mavens are the bloggers, the Early Adopters are the readers of these blogs, and — to a degree — the re-bloggers. Again, these Early Adopters are a more populated class, and thus their influence is potentially greater than the Mavens. In an era of interconnectivity, demographics and geographics, while still important, are less important than the habits, trends, personality of a customer; i.e. their psychographic profile. Finding your audience requires you to understand profoundly the psychographic profile of your customers. What do they look like, where do they shop, what type of food do they like, etc.? Determining these factors allows you to create a “model” customer. This is the person who, if you could get your music to her, would deeply embrace it. Also, given the fact that she is a Maven/Early Adopter, she will likely share what she has discovered with her network. Significantly, defining this Model Customer allows you to determine where this customer is likely to congregate, and thus where you must bring your music. We do not make profound connections with products, services or people online. Profound connections occur offline — in person. The genius of Facebook, and why it has eclipsed networks such as MySpace, is that it represents a Straddle of offline and online; we upload pictures and detailed stories of our offline activity so that our friends and family can be aware of these offline experiences. In this manner, you must understand that technology is simply an accelerator of your offline activity. By locating the Mavens/Early Adopters within your psychographic landscape, and taking your music to them — in person — you greatly increase the odds of these people developing an emotional attachment to your work. On your site you must present a value proposition that begins with exchanging some type of content for an email address. Email is your currency; the more of it you have, the more likely you will be to convert what is essentially a non-scarce resource (i.e. your music) into something of tangible value. Do not be fooled into thinking you can get away using a third-party site as “your” site. While, undeniably, service providers such as Reverb Nation and Bandcamp provide value, you do not own these sites, and fundamentally your participation does more to increase the value of these sites than increase your own value. This is not to say you cannot extract value from these third-party sites; however, this requires using them like Facebook, Twitter, and others, to drive potential customers to your own proprietary site. Your FB fan page, similarly, must also represent a value proposition. The value here relates to engagement. FB allows for easy engagement via its makeup. Consider contests, polls, short videos, or other ploys that will keep your fans not only engaged with you on FB, but will encourage them to direct those in their network to your FB fan page. Of course, you must use FB to direct customers to the value proposition that exists only on your site: a content-for-email exchange, and other site-specific offerings (chats with the artist, etc.). Twitter should be used to establish your voice and to direct people to your site. The establishment of the voice comes as much from your affiliations — who you link to, who you follow — as it does from your actual tweets. As above, use it to engage and to direct traffic to your site. Employ time-sensitive offers and offers only available to those who follow you on Twitter. The goal is to inter-connect these tools, and to leverage them to enhance the offline experience. In all mediums you must encourage and facilitate sharing. Your site must have a FB “Like” button and a share on Twitter so that whenever you post content, your constituents can share with their network. Therefore it is imperative that you use your email newsletter wisely. 1. They must be short; highlight one and only one action. The total length should be less than 500 words. 2. They should be frequent; once a week on a regularly-scheduled basis. 3. They should have a call to action; tell the recipient what you want them to do: come to the site to get something, come to a show, etc. 4. They should be forwardable; ask your recipients to forward the email to someone they think will enjoy it. 5. They should have sharing functions embedded; allow people to Tweet, add to a FB status. 6. Make it easy for people to unsubscribe. The problem of course is that you won’t know which of the 10,000 are the true fans. Thus, you must continuously work to increase your overall amount of constituents. Rather than having 2,000 of 10,000 contributing, strive to have 20,000 of 100,000. In order to sift through the layers of participation to find the most valuable customers, you must create a filter. Think in terms of a funnel. At the widest point of the funnel is the easiest level of engagement: a free song for an email address. George Howard was President of Rykodisc, is an original founder of Tunecore and Assistant Professor and Executive in Residence in the College of Business Administration at Loyola University. Great to see a band of this stature make a bold move like this. Radiohead has released their latest album "In Rainbows" online and for free, if you want it. They will also accept whatever amount you wish to pay for the songs. Brilliant! LA Times reported the story on Sunday.